Last week I asked: What is there to do in Kingston, Canada? Visit one of the 24 museums. Labor Day usually signals the end of summer for most of us. But, it is one of the best times to travel, especially midweek when the crowds are less. It is the perfect time to visit Kingston, Canada – for the day or longer. I love the ferry from Cape Vincent and then the ride across Wolf Island – take note of all the windmills. Some farmer is making a fortune, I think. 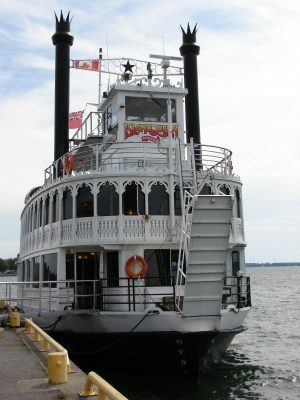 When visiting Kingston, the Limestone City, start with a get-acquainted trolley tour followed by a river cruise. The Confederation Trolley Tour is the best way to get an overview of Kingston. Excellent guides share three centuries of the city’s history laced with humor. 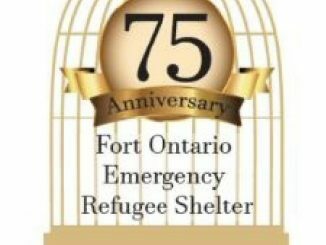 The 1.5-hour tour makes its way from downtown to Fort Henry to the Penitentiary to Queens College covering all the highlights of the Limestone City with an option to get off at Fort Henry or Bellevue, the home of Sir John A. MacDonald. 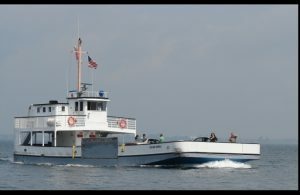 Set sail out of Kingston on one of the several sightseeing cruises offered by 1000 Island Cruises. There is a tour to fit everyone’s needs as they range from 1.5 to 3 hours. Some include meals and music. The tour narration is a lively repartee between Sir John A. MacDonald and the lady narrator, which keeps things lively. Learn interesting stories and legends of the islands. The tour passes by Half Moon Bay near Gananoque where boaters have been gathering on Sunday mornings since 1887 to attend religious services without leaving their boats. 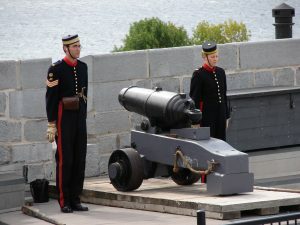 Fort Henry will be open until October 31. They offer a slew of activities such as artillery firing, the Garrison Parade, Victorian School Lessons, and guided tours. Like most forts their Haunted Walk is popular and offered from April to October with an especially scary one at Halloween time. A do-not miss tour is the one of the Kingston Penitentiary, a former maximum security prison. 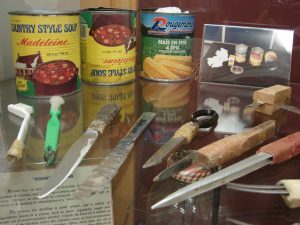 The inmates created amazing items not the least of which were weapons and items to aid in escape. There is a haunted room where one of the ghosts of Fort Henry, Nils Von Schultz, was held. In the 1830s. Von Schultz led an attack on Canada in an attempt to free Canada from the reign of the British Empire. He was captured by the British and charged with war crimes. Von Schultz said that he would plead guilty to all crimes as long as none of his men were hanged. It didn’t work; he was hanged along with five of his men. He was held for a time in the Commander’s Room where it has been reported that objects move around and some visitors feel faint and have difficulty breathing. Kingston is Canada’s museum capital with something for everyone at its 24 museums and historic sites and 3 art galleries. 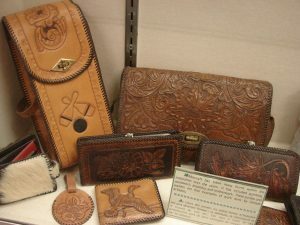 These include two city-owned museums, the Pump House Steam Museum and the MacLachlan Woodworking Museum, and national historic site, Kingston City Hall. 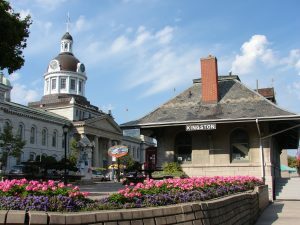 At one time Kingston was the capital the United Province of Canada which led to the construction of the impressive City Hall where there are free tours. 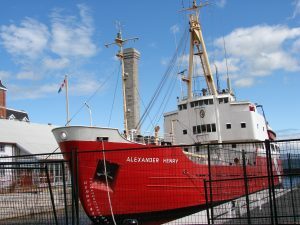 There is a museum ship, the Alexander Henry, a former Canadian Coast Guard ice breaker and buoy tender, that served on the Great Lakes. 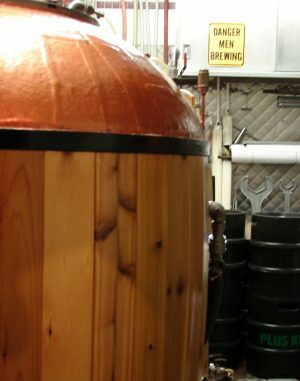 The city is a culinary destination with its many restaurants, breweries and distilleries. Foodies will enjoy one of Kingston Food Tours, which offers a local’s perspective into Kingston’s culture through its delicious food, history and unique architecture. Travel Trivia Tease™: How do you make “traditional” spaghetti sauce?